Welcome back. Some 15 years ago, when my daughter Rachel was the Promotions and Special Projects Designer for a Gannett newspaper and only occasionally freelancing as a photographer, the editor of the journal diacritics saw one of Rachel's photographs of an egg and chose it and five others from her portfolio to illustrate a special issue of the journal. 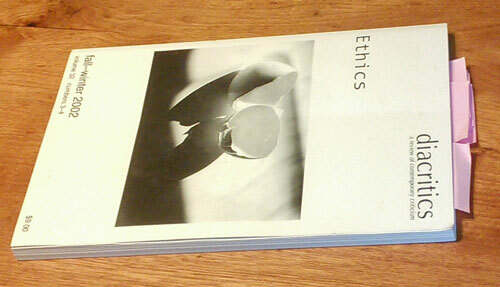 The theme of the issue was ethics, and the photographs she included were all of eggs, whole and broken, mostly white. Diacritics journal with egg photos by Rachel. I’ve never gotten around to reading any of the journal articles--literary theory and criticism are a bit beyond my scope of interest; but I did appreciate the link between ethics and eggs. I had even wondered how the message might have changed if there had been eggs differing in size and markings. This all came flashing back to me when I saw the recent paper on avian egg shape by Princeton and Harvard researchers and collaborating scientists from Singapore, Israel and the UK. 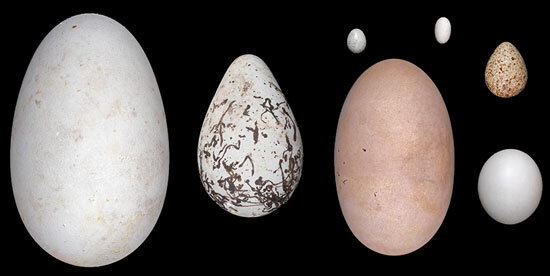 I had no idea the shape of eggs can vary with bird species, much less that there are different hypotheses for why. The team of investigators sought to resolve the matter by first using a morphometric analysis to quantify the shapes of over 49,000 bird eggs, representing approximately 1400 species in 35 existing orders as well as two extinct orders. - test major hypotheses about egg-shape variation in the context of key life history and environmental variables on a global scale. Their findings suggest that, while egg size is at least partly regulated by life history and nest spatial constraints, egg shape is not related to clutch size, developmental mode, environmental factors or nest characteristics as would be the case with some hypotheses. Instead, they found that birds tend to lay more asymmetric or more elliptical eggs if their eggs are larger or if the birds have a high hand-wing index, which is a standard proxy for flight efficiency. That adaptations for flight may be key drivers of egg shape is consistent with observations that adaptations for high-powered flight--reduced body size, reduced abdominal cavity, loss of a functional ovary and oviduct--may have considerable effect on egg shape. Such adaptations place constraints on the maximum size or width of a stretched oviduct. This could be accommodated by increasing egg ellipticity or asymmetry, or both, to increase the egg volume, while maintaining or reducing its girth, the widest part of the egg. The researchers propose that the adaptations for strong, high powered flight--muscular, streamlined bodies in both males and females--give rise in the latter to eggs that are asymmetric or elliptical, or both. If shape had been a variable added to Rachel’s journal photographs, the eggs would not only convey ethics but also…what? Oh, I give up. The photographs the editor chose were beautiful and a perfect fit. Thanks for stopping by.